“Our efforts to manage migration have borne fruit: arrivals have been drastically reduced”, declared Jean-Claude Junker in his State of the Union speech summarizing the latest achievements and setting new guidelines for the year ahead. 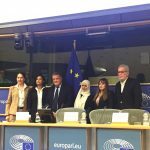 Migration was a central issue not only because of the ongoing humanitarian crisis caused by uncontrolled migration flows, but also in light of the European Parliament elections in May 2019. Additionally, racism and right-wing extremism are on the rise with its political leaders gaining more and more seats almost everywhere in Europe. 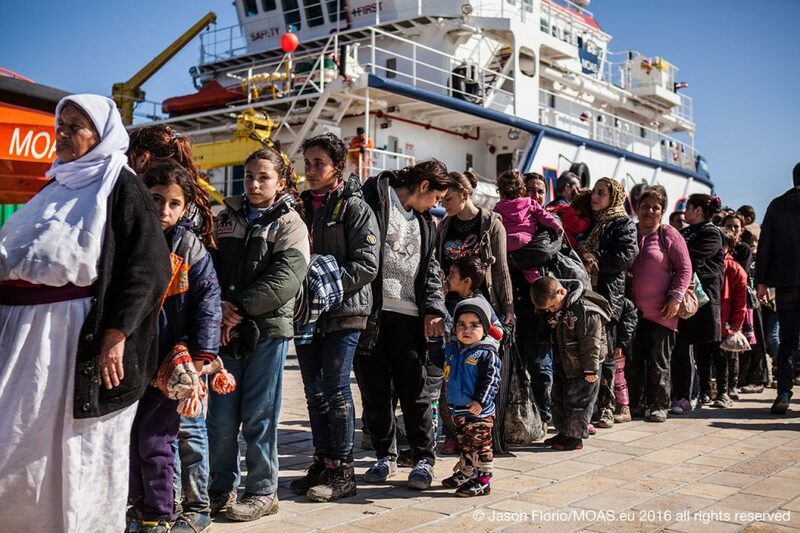 On the one hand, the need to uphold European fundamental values remains vital, however on the other, it is unclear how humanitarian issues can be combined with border controls. The balance between human rights and national safety and security is always unclear. 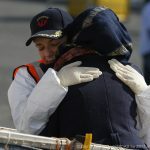 Above all, if 10,000 European border guards will take office by 2020 to protect EU external borders and Member States will be supported to implement faster return procedures for irregular migrants. 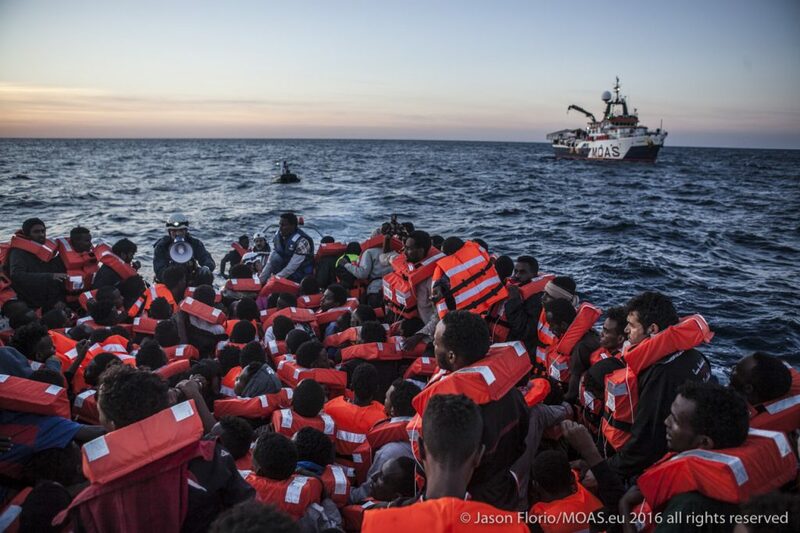 Migration is fiercely dividing European leaders, but it is deeply saddening to see how such a sensitive issue is described in terms of figures: 97% less landings from the Eastern Mediterranean and 80% fall from the Central Mediterranean, according to President Junker. European achievements are measured only in terms of reduced numbers of arrivals. There is no mention of the unparalleled rise in casualties at sea and on land nor of humanitarian vessels forced to suspend SAR missions due to a new operational scenario that has enormously changed and is still hampering rescue efforts at sea. Nonetheless, the good news is that the importance of pulling down internal borders to enjoy the Schengen area and boost solidarity among Member States was reaffirmed, while national governments should find a more efficient compromise between security and responsibility. “Where borders have been reinstated, they must be removed”, said President Junker who also called on Austrian Prime Minister, Sebastian Kurz, to find efficient solutions for a long-term, sustainable migration reform. Austria is currently holding the six-month rotating presidency of the Council of the EU. The country is well-known for its reluctance to welcome migrants and refugees, as proven by the latest elections won by Chancellor Kurz who represents the Austrian People’s party and governs in coalition with the right-wing populist movement. Nonetheless, Austria joined the 69% majority vote to pave the way to sanction Hungary for its, “systemic threat to European values” since freedom of expression, rule of law, judicial independence, academic freedom are at stake. Additionally, Hungarian policies against migrants and refugees both in the country and at its the borders raised huge concerns among activists and humanitarian organisations. Unfortunately, President Orban’s stance on migration is dangerous both because it poisons the current debate and because it negatively affects people’s lives. Minorities, migrants and refugees suffer from discrimination and marginalisation in Hungary, a country that refuses to accept asylum-seekers within the framework of the EU 2015 relocation scheme. My biggest hope is that European institutions will take concrete actions as soon as possible to prevent Europe from becoming more and more fragmented under the pressure of national egoism. Europe was created to safeguard peace and based on solidarity. So, it can’t ignore internal threats to its stability and values. In light of this, I am glad that the need for legal pathways was reiterated during the State of the Union speech. Three years ago, MOAS launched a campaign advocating for the opening of safe and legal routes to allow vulnerable human beings to reach European soil in safety and dignity. 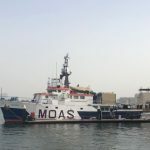 MOAS constantly highlights the importance of addressing migration in a rational and human way, that combines the respect of human rights and countries’ concerns about national security. Recent schemes of humanitarian corridors as implemented by the Community of Sant’Egidio in different European countries provide sound evidence that they help integrating new-comers, who are generally welcomed by local communities in a more efficient way. Humanitarian corridors are necessary tools to dismantle criminal networks and stop fatal journeys to seek sanctuary, as well as the best way to avoid marginalisation and exploitation. But, the only way to progress is to act together and end division. “Europe must move forward as one. To love Europe, is to love its nations”, concluded President Junker. I firmly share his statement, because Europe has been one of the biggest achievements in human history. Europe deserves a bright future of stronger leadership and compliance with binding regulations, that can be following a common interest to protect humanity and human rights. In our Europe there is no space for racism, intolerance, xenophobia and violent propaganda.